Social media has become one of the very important tool for communication in today’s world. It has established its reach to the farthest corners of the world and has also empowered people by making the information available easily. The most important aspect of Social media that makes it better than the traditional media is that it is two way. One can consume the information as well as create and post information and views. While there are various kinds of social media platform based on what type of information can be shared, micro blogging site Twitter is one of the most talked about and preferred platform for commoners as well as celebrities to share their thought and updates with the world. Many world leaders including heads of the largest democracies like India and United States use Twitter significantly to connect with the masses. After going through an amazing growth, some social media platforms have ran into some controversies. Sharing personal data of the users with other companies, theft of data by hackers are some of the examples. For quite some time now, there have been talks about the biased treatment of users by Twitter based on their political leanings. 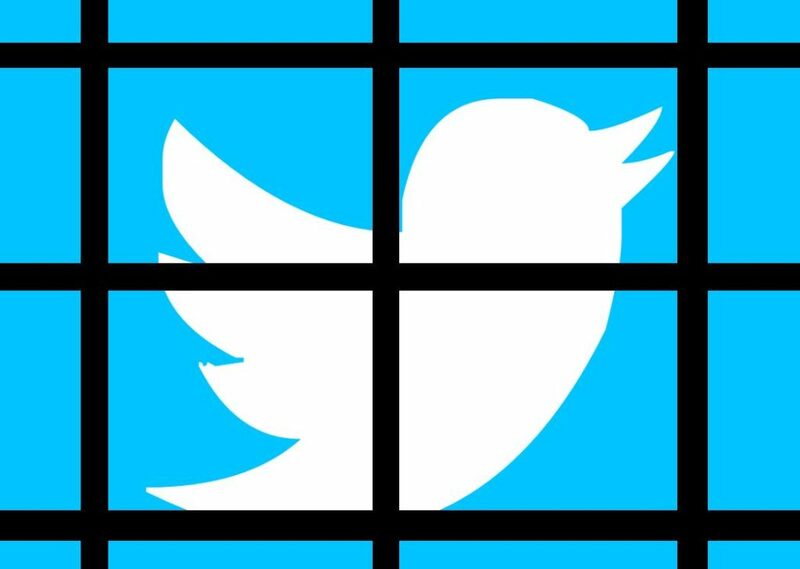 This article talks about some sting operations related to biased treatment or in other terms, ‘Shadow Banning’ on Twitter. Twitter leaders have also made some statements about the political leaning of its employees. These statements and revelation have led people to believe that the biased treatment or the Shadow Ban is real. Here it is worth noting that Twitter has denied any claims made by users on the Shadow Banning. While the biased treatment is certainly there, it is not clear if its a political issue or a technology issue. The unnecessary statements and controversial activities by Twitter leadership may have led people to believe that its more political. In simple terms, Shadow Ban is a way through which Twitter controls the reach of certain users to new audience. We will take a very simple case. When a Twitter user (say X) posts a tweet, it goes to the timeline (TL) of all the users who are following X. When any of the followers of X retweets the tweet, it goes to the TL of his/her followers and so on. For X to reach new audience one of the ways is to tweet with popular hashtags. Including the hashtag in one’s tweet makes the tweet visible to any user who clicks that hashtag. Through Shadow Ban, this reach is restricted. 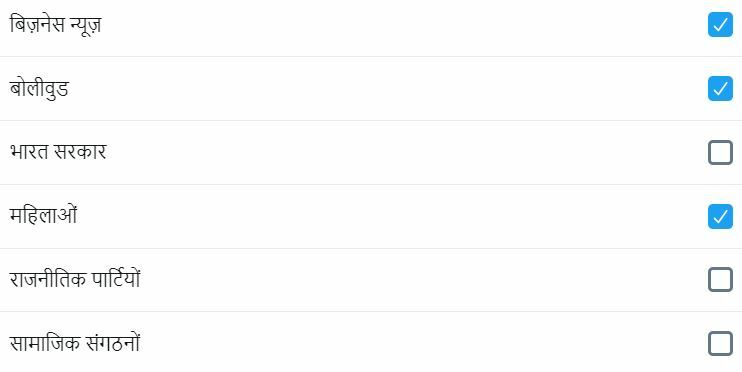 If X is under Shadow Ban, the tweet will virtually be invisible in the list of tweets under a certain hashtag. Even when a follower of X (say Y) retweet X’s tweet, it will sometimes become invisible to Y’s followers and so on. So, the reach of X’s tweets to new audience is restricted. As per some reports, users who are under Shadow Ban do not appear as suggestion in the Twitter search box and so their discovery by new users who don’t follow them, is restricted. In this section, I am focusing only on how the reach of a user who is under Shadow Ban, is restricted. This explanation is based on my observations and some experiments. Based on how the users are using Twitter and the content they are tweeting or retweeting, Twitter profiles users using AI. 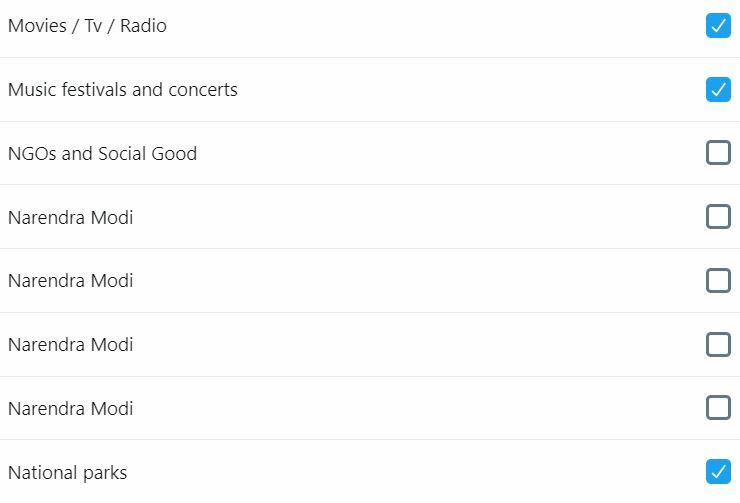 With this profiling, the content posted by users is ranked. The content (tweet) that is ranked low by the platform gets pushed down on the TLs and hashtag tweet lists. It gets pushed so down that many a times it becomes virtually invisible. Based on the variety of the data used to train the AI algorithms, they sometimes show bias. This article explains one such case. It seems the Twitter algorithms are biased and rank the content posted by users having ‘right of center’ political leaning, as low. There are many users who have been Shadow Banned because they support a certain political leader that Twitter algorithms do not like. Twitter has a Content Quality preference setting. The setting says ‘Show the best Tweets first’. This setting is switched on by default for all the users and so the Tweets that Twitter algorithms decide to be best will be shown at the top on your TL and the ones that are ranked low by the algorithms will be pushed down. What is worth noting is that this setting breaks the traditional way of displaying the tweets in reverse chronological order. A few weeks back, Twitter came out with the ‘Sparkle’ button. This sparkle button is supposed to allow the users to turn off the effect of this Preference Setting. This article talks about the Sparkle button. But, this button is available only on iOS app of Twitter and nowhere else. The image below shows the Sparkle button highlighted using the red circle. Despite what was promised, the Sparkle button is not available on Android and Web App of Twitter. Also, it keeps going back to the ‘Best Tweets first’ setting. The only good thing is that when it does, it puts up a notification for you to know and change it back if you want. To beat the Shadow Ban completely, two pronged approach needs to be followed. 1- Login to mobile.twitter.com (or you can do it directly on your mobile app) and go to Settings and Privacy. 2- Click Content Preference and You will see the setting under discussion to become the boss of your TL. 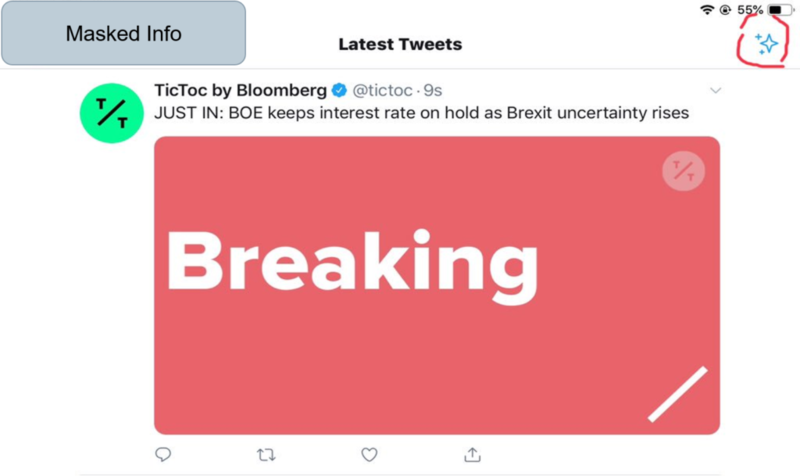 The profiling done by AI algorithms that rank the tweets posted by a user as higher quality or lower quality are based on inferring the interests of the user. While the profiling algorithms might be working OK, the result of this profiting is surreptitiously being used to restrict the reach of certain users by ranking their tweets as low quality tweets. 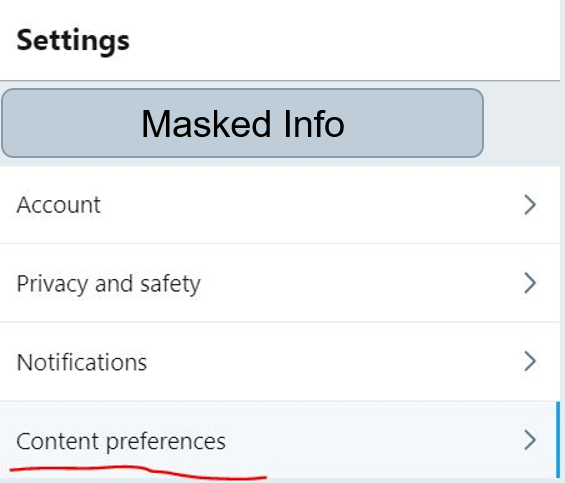 While your followers can change that processing by switching off the content preference setting discussed above, you need to tweak the profile created by AI algorithms to make sure your tweets are not rated as low quality just because of those interests and you do not end up being Shadow Banned. We understand that the processing algorithms do not like ‘Non Liberal’ type of users. So, you need to make them believe that you are not ‘Non Liberal’. Here is how to do this. I am showing this using a sample twitter profile that was used in the experiment. 1- Login to mobile.twitter.com and go to Settings and Privacy. 2- Now go to Privacy and Safety. 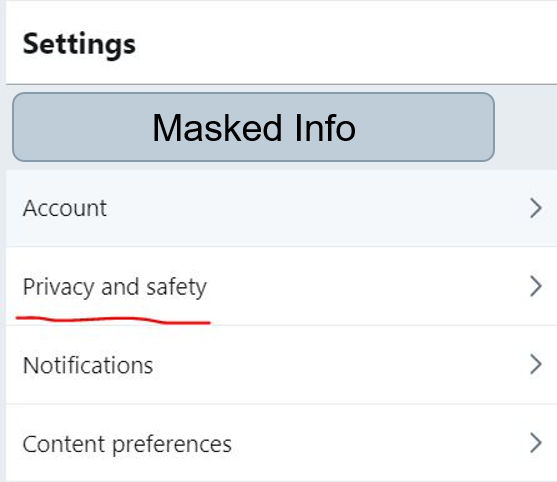 3- On the ‘Privacy and Safety’ page, click ‘Personalization and Data’. 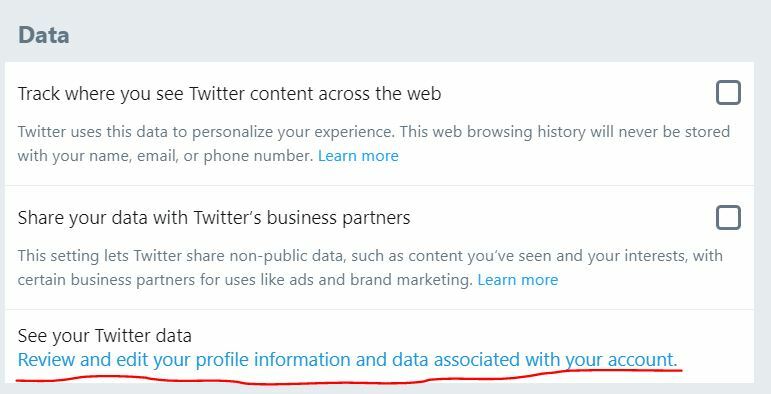 4- On the ‘Personalization and Data’ page, click ‘See your Twitter Data’. 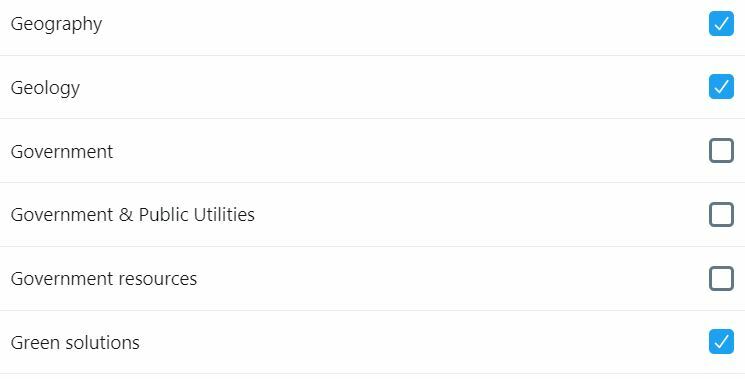 5- On this page, click ‘Interest and ads data’ and then ‘Inferred Interests from Twitter’. 6- Now you will see a list containing the interests that Twitter algorithms have inferred from your use of the platform. The list comes up with all the boxes checked. You need to find the ones that are ‘Non Liberal’ kind of interests. For this profile that was used in the experiment the ‘Non Liberal’ kind of interests have been unchecked to tweak the profiling done by the algorithms. Actually this tweaking is trying to show that the user is not at all interested in anything but, the business and science etc. 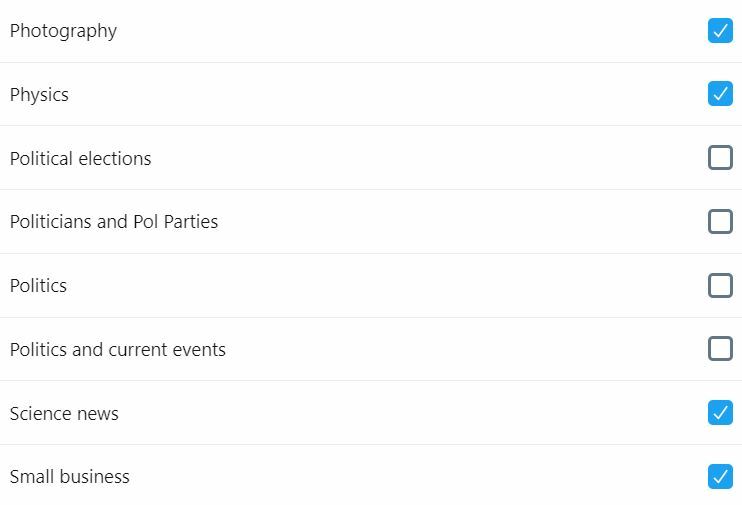 The algorithms that infer interests run periodically and will reinstate (check the box for) all the inferred interests again in 24 hours. So, you need to repeat this removal of ‘Non Liberal’ inferred interest every day at least once. May be somebody can use the Twitter APIs and write a small app to make this task easier. As part of a week long experiment using this method, it was observed that the visibility of the tweets of the user under consideration improved significantly. The tweets with trending hashtags attracted new users and increased interaction. The impressions on tweets increased and most importantly, disappearance of followers reduced to around 10% of what it was earlier (attracting new followers at the same time). While the experiment period for this possible fix was a short one week and the conclusions are debatable, there is no other major factor in sight to believe something else caused the change in the visibility of the Handle under consideration. Possibly more people trying this out will be able to confirm the findings.